Nashish and Westag have been working together for over 5 years. Weekly meetings, weekly marketing actions and great sales results allowing the business to grow and prosper. Listen to Simon Meagher's thoughts on the partnership and how it benefits his business. 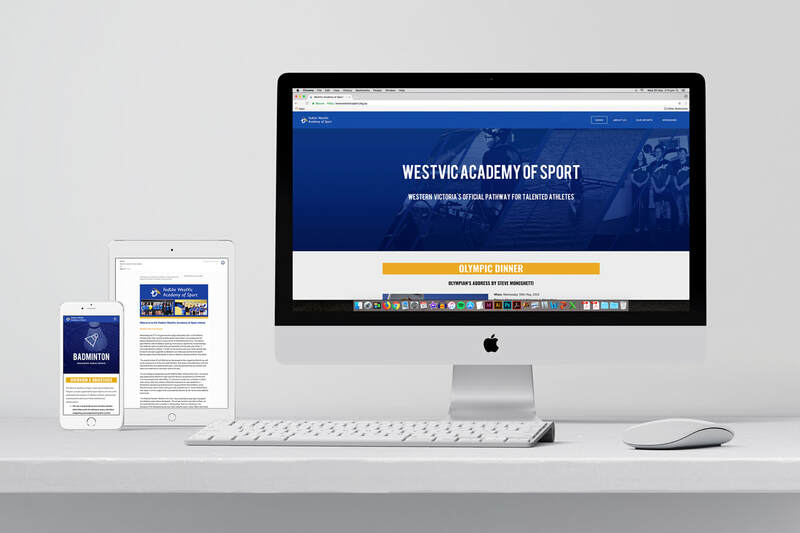 WestVic Academy of Sport - Create and maintain professional brand presence and information delivery via video. WestVic Academy of Sport is the regionally based pathway organisation to the Victorian Institute of Sport. Its athletes are aspiring to get to the next level of their sport and the WVAS assist with a range of services such as coaching, strength and conditioning, public speaking, nutrition and much more. 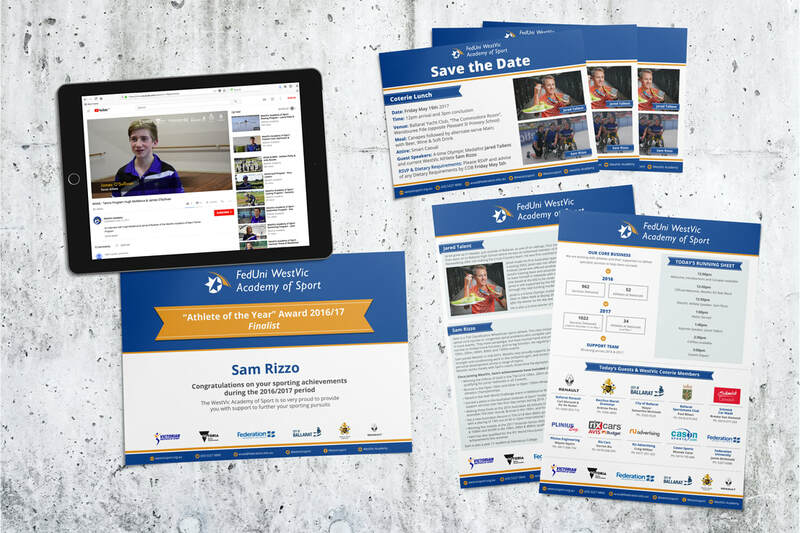 With all communications including the website, eNews service and athlete videos, we have structured the message to highlight the pathway to the VIS as well as the broad range of services WVAS can provide to its athletes. The results have been favourable for WVAS since our involvement in 2015. 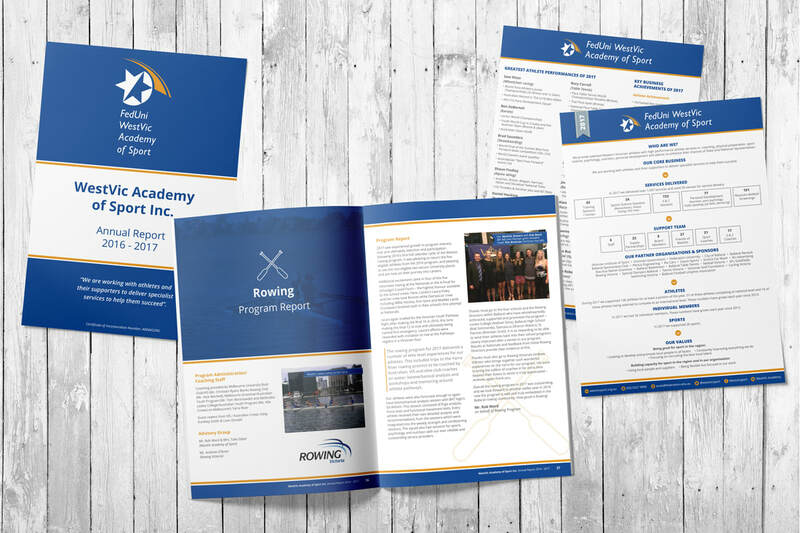 WVAS brand presence has increased due to the professional nature of all communications including reporting and statistical diagrams highlighting the athlete successes on the state and national stage. 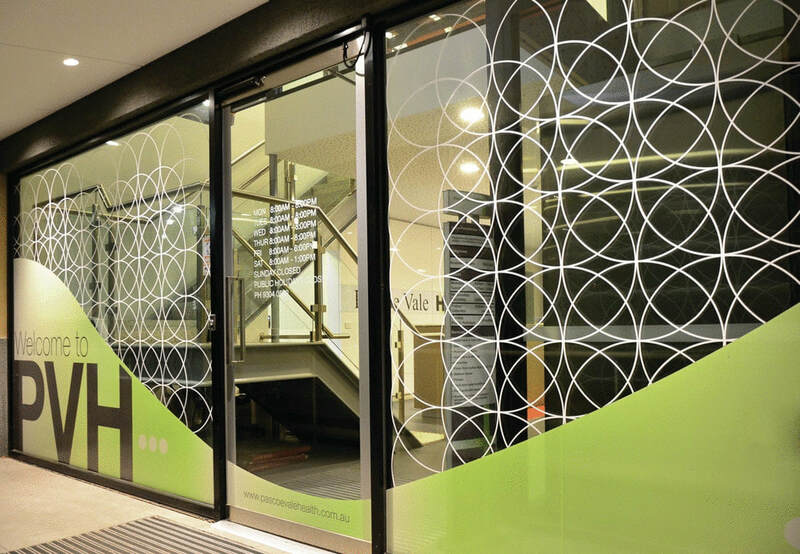 Nashish have successfully assisted WestVic to develop the right ‘look and feel’ for our business through the re-design of our website and through the various electronic communication methods we have developed for both our internal and external stakeholders. Nashish are locally based and genuinely care about our business, are responsive to our requirements and deliver value to us by tailoring services to suit our specific needs. Kryal Castle (Tourism) - Realigning the brand to attract a wider target. Kryal Castle is a tourism attraction which in the past had been prompted as an authentic medieval castle experience. We were approached to broaden the catchment of potential visitors. Competitor analysis took place with those close-by tourism attractions who compete day to day with Kryal Castle (not medieval themed) and also nationally and internationally, analyzing how a medieval tourist experience can look. 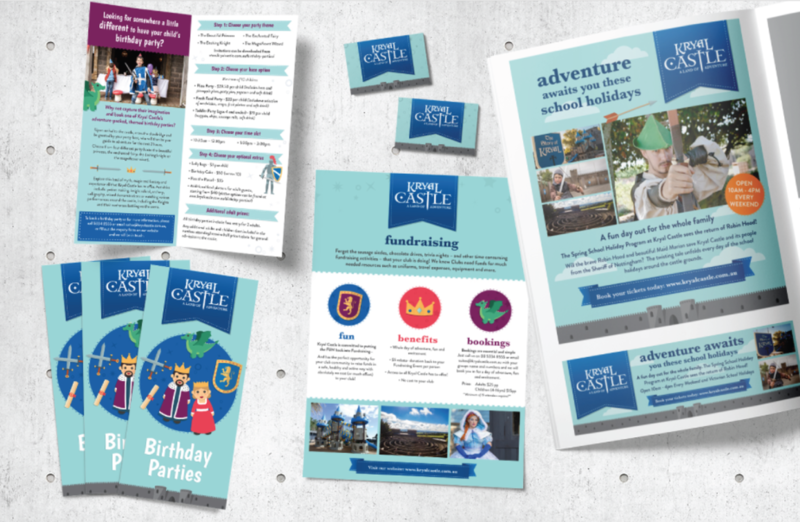 Visual mood boards were completed to step them through a period of change, to morph themselves from a medieval castle to more of a family, fun experience, based in the enchanted castle. We wanted to move the marketing away from the dark feeling of the knights jousting that had been used previously. 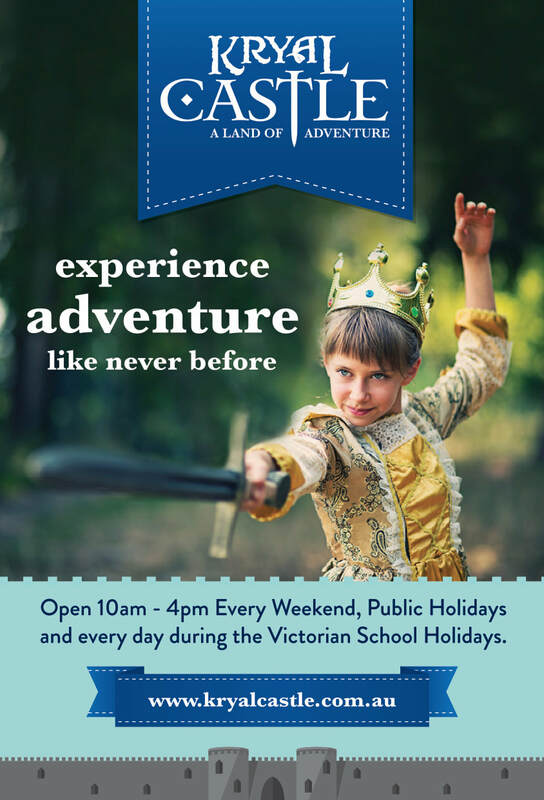 This broadens the target audience to include families, young children, those Harry Potter/Lord of the Rings fans who want to have an experience in fantasy for the day or weekend. The logo was evolved removing the ‘medieval’ from the tagline and incorporated into a ribbon, along with a complete change to all of the supporting design elements. Icons to illustrations to photography to typography, all were amended and massaged to appeal to the wider audience. A lighter, brighter color palette was used for appeal as was a cute set of characters – kings, queens, princesses and the castle itself. The attraction is open weekends and school holidays. 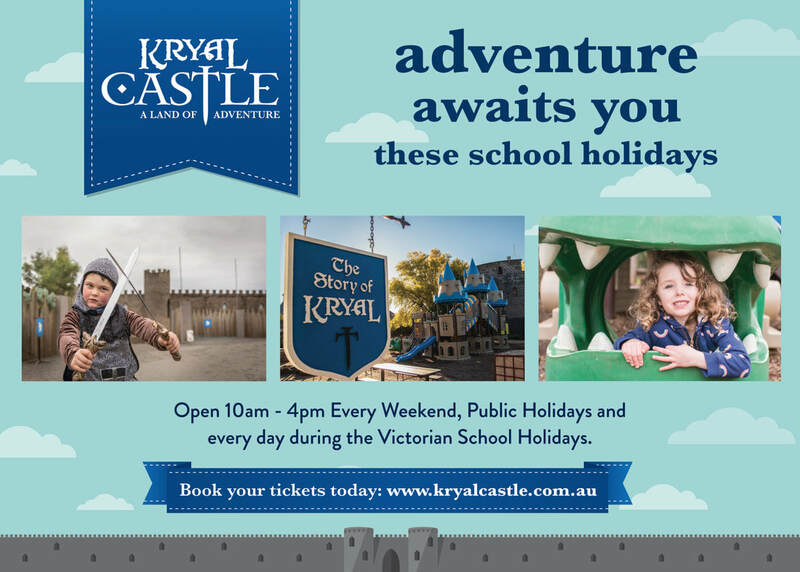 The rebrand was completed in time for the September school holidays and they saw a 23% increase in visitation for these holidays and a further 18% increase throughout the Christmas holidays that followed. Weekends have also increase in visitation overall by 16%. An initial 20 day Facebook Campaign reached 114,255 people with 2,604 click throughs to the website for ticket purchases and 70 comments from people tagging in friends etc. Working with Nashish was uncomplicated and professional. They took the time to understand our project and went about the result in an organised and creative manner. Overall branding of a super clinic. Healthcare has come a long way. We now have super-clinics such as Pascoe Vale Health who offer over a dozen doctors as well as allied health including podiatry, chiropractic, massage, acupuncture and naturopathy all under one roof. We worked with Pascoe Vale Health to rename them to PVH Medical, allowing them to expand to other suburbs as they grow. This renaming included above-the-line advertising and below-the-line messaging ‘in practice’ to inform patients of the additional services that were coming on board. The new logo was rolled out over stationery, signage, advertising and EDMs also. Staff training to inform them of the brand, provide scripts for telephone conversations etc. were all developed and delivered to ensure the personality and values of the new brand were taken on board by the staff. Some had been there in the old brand for 20 years. A new website, Google AdWords and Facebook Marketing were all used digitally to ensure the new brand was noticed geographically by the public in the immediate area – PVH’s target audience. Our work allowed the clinic to develop from a small group practice to a large super clinic within the 12-month period we worked with them. We undertook a complete rebrand and repositioning project with Nashish. We never realized how complex and how many levels of branding was required to achieve this. We certainly didn’t have the expertise in house so partnering with Nashish was perfect. They brought to the table their experience and expertise and the result has been everything we ever wanted and more. We are now setup perfectly to take the steps into a super clinic which was our ultimate goal. 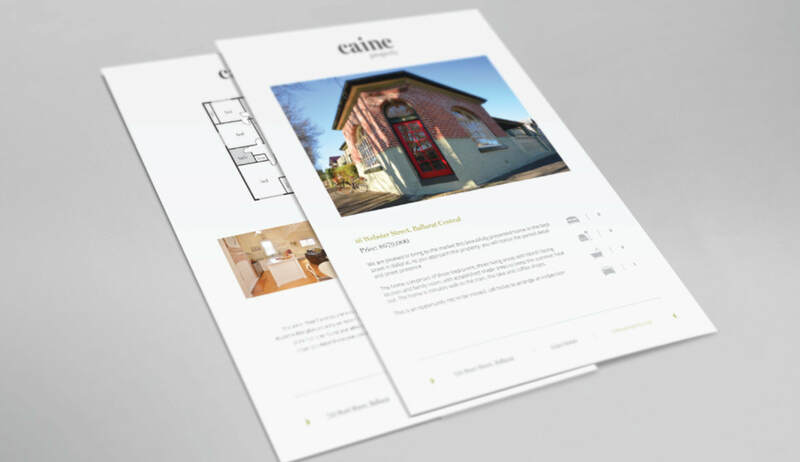 Caine Real Estate engaged us to rebrand their boutique, agency. The goal was to establish them as the quality home seller to sophisticated buyers of high priced residential homes. A competitor review revealed that all other agents in the marketplace heavily promoted their own brand and image rather than that of the home they were selling. Often the home was secondary (visually) to the agent’s own brand. We flipped this on its head, making the house for sale the ‘hero’ over the agency brand. In the same way that an Art Gallery has crisp white walls to hang the painting on in order for the viewers focus to be on the artwork, we wanted to do the same. White was adopted as the base color for all marketing needs. The result of the property becoming number one visually is heavily promoted by the agents to their customers ‘the way it should be’. 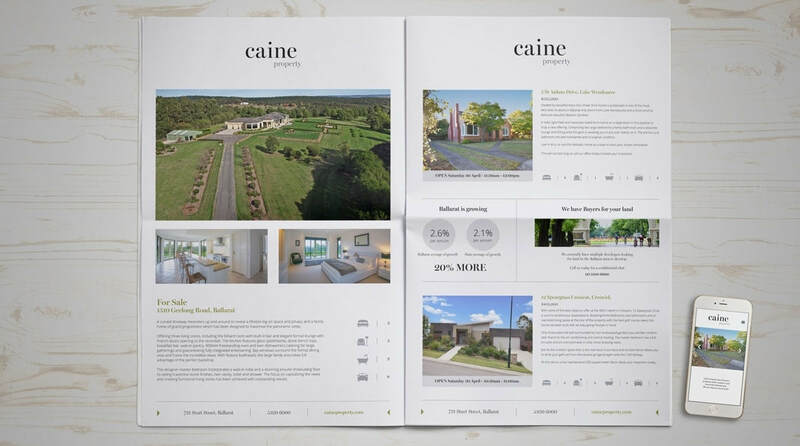 Simple textures on paper stock for stationery and brochures gives the brand depth while giving the real estate market a sophisticated option over the high color, high impact competitors. 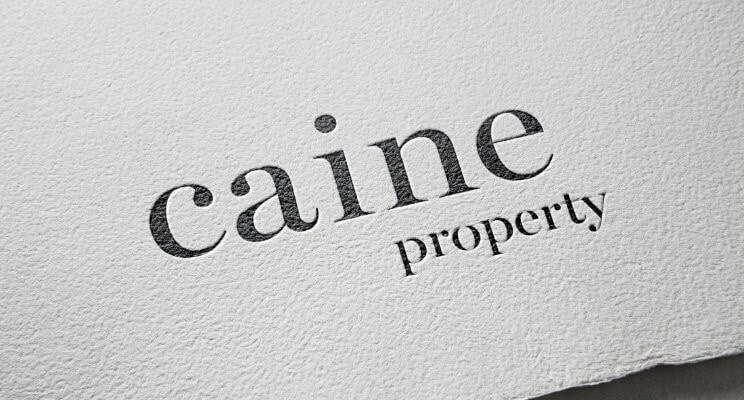 The new business name and copywriting was also supplied in order to broaden the offering from ‘selling your home’ to ‘chat to us about your long term investment strategy within property’. The results have been stunning, the agency has received many comments on the approach of featuring the property over the agent, ultimately assisting them in their goal of attracting the higher end properties to their sales list. Working with Nashish has been seemless, they stepped us through every part of the process from thinking about our new name to which paper to print our stationery on. We asked them to help us attract the more sophisticated ‘lister’ and at the same time separate us from the opposition – they have successfully completed both. We were approached by Mega Meats to rebrand their business from being a ‘priced based’ offering to a ‘product based’ offering. 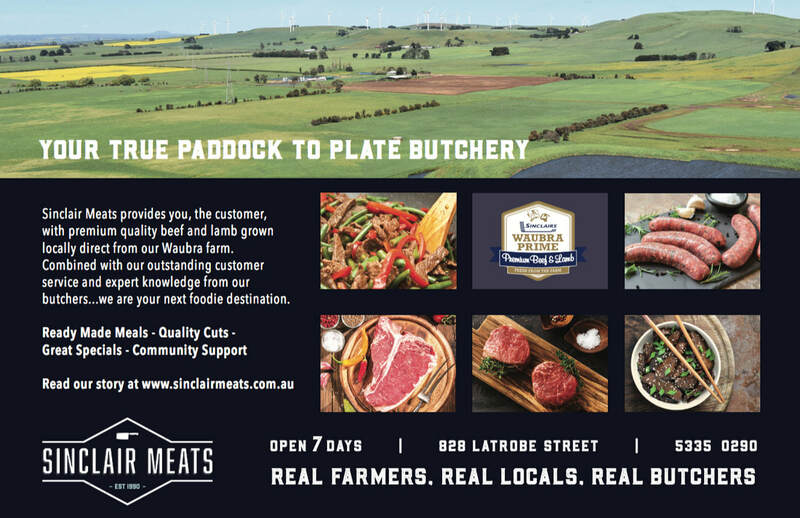 We undertook a competitor analysis of local and interstate butchery’s to see how others communicated such things. 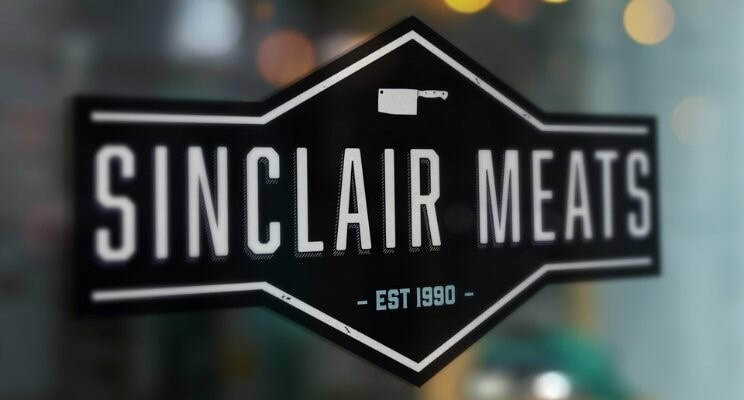 We decided to name the new brand Sinclair Meats as it was utilizing the family name of the business owner. 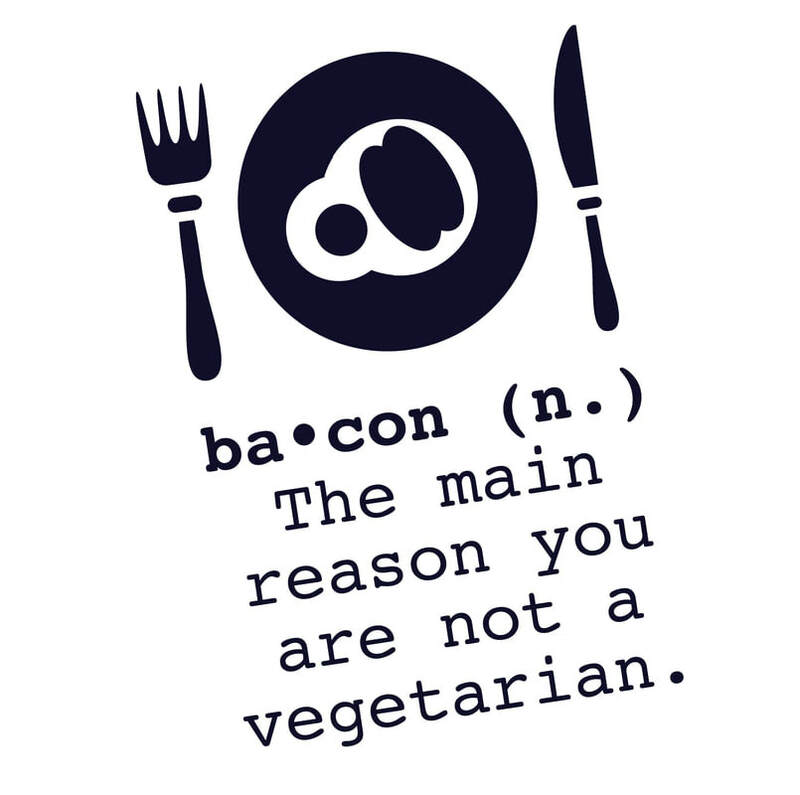 80 percent of their meat on sale came from their very own farms (closeby townships). What a great story that had never been told! We went about using the dark blue and stripes from the traditional butcher’s apron to link to the local neighborhood butchers shop and the family name to get to the new logo. This logo and the brand personality was then rolled out to over 40 designs including signage, digital screens in store, video, social media, uniforms, media (tv and print), email campaigns and direct mail. Packaging was redesigned for the wholesale customers revealing who had ‘packed and prepared their meat’. Adding a personal touch to the chef’s who received their deliveries daily. 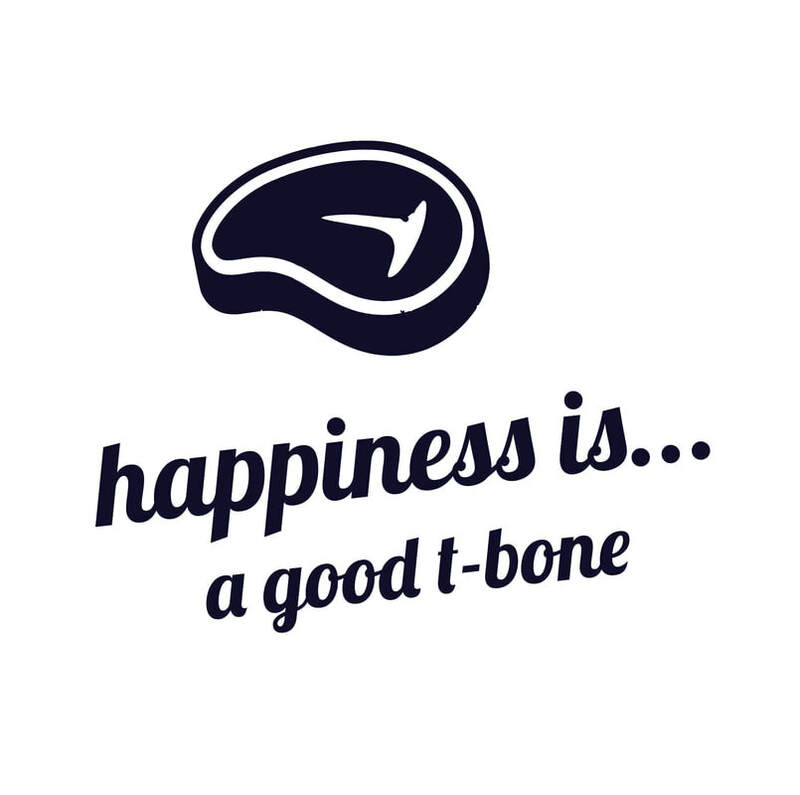 Fun was had with the copywriting of little limericks and sayings that were developed into icons and are now used on social media channels and internal signage. Staff training was also undertaken to ensure staff had buy-in to the new brand and what it stood for. 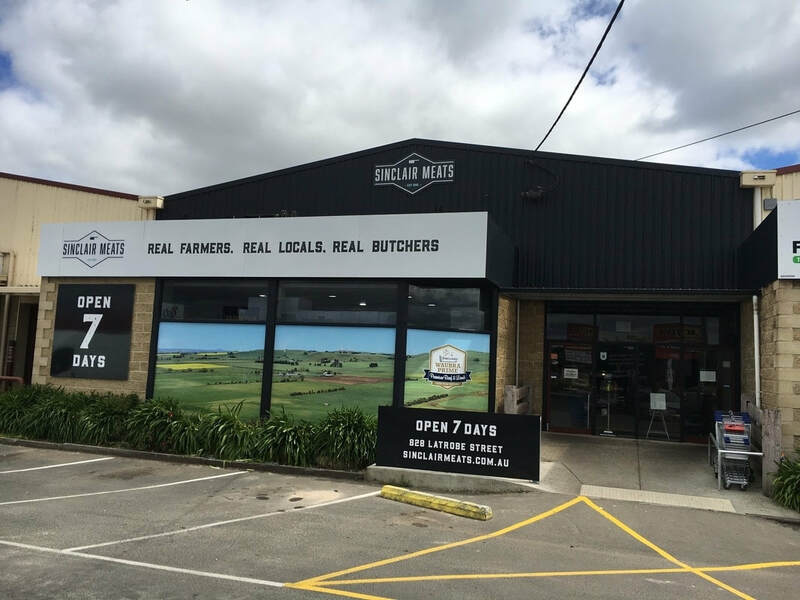 Sinclair Meats feel that the rebrand has helped them find their ‘space’ amongst the national food stores and locals alike. Customer numbers through the door are up but more importantly, the ‘spend per customer’ is up meaning the idea of focusing on the product instead of the price has indeed worked. We had a company wide goal to compete with the large nationals supermarkets but at the same time be the locally owned option offering good old fashioned service and advice. Nashish believed in the idea from the start, showing us examples of others who had achieved this and they set down a detailed plan on how we would achieve it over a 12 month period. We had a great story to tell with the family ownership and the paddock to plate idea, Nashish told the story beautifully, ensuring the brand was protected the whole time. We can undertake social media promotions, business page setup and posting on behalf of your business. 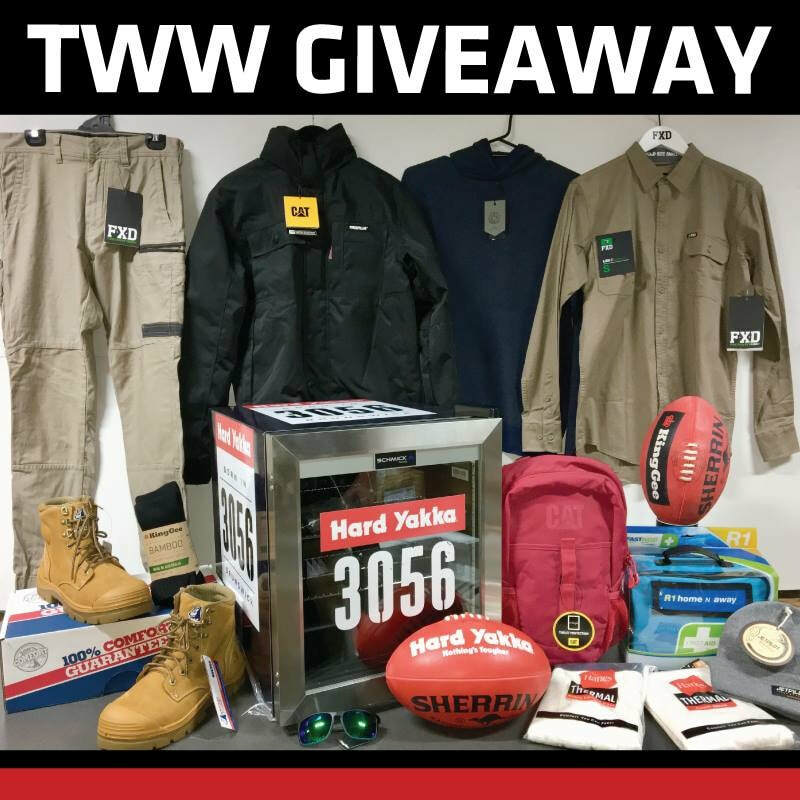 Totally Workwear (with stores and Facebook pages in Brooklyn, Hoppers Crossing and Geelong) are valued clients and here are some results of a giveaway competition. This result was achieved without spending any money on advertising or boosting! Just us working with our client on a great way to promote a retail business on Facebook.